While Call of Duty isn’t new to making headlines one way or another, the announcement of Black Ops 4 was huge, as the series within the franchise is often considered to be the benchmark of online FPS gaming. While there have been some interesting announcements about features the latest Black Ops will have that have received mixed opinions to say the least, the game is still the familiar blend of tactical combat and all-out mayhem we have all come to enjoy. With the beta finally hitting PC we jumped in head first and had a blast taking on other players in this beautifully designed combat zone. Call of Duty: Black Ops 4 has been crisp, smooth, and a blast to play, so check out our gameplay footage below and see what you think. Call of Duty: Black Ops 4 is the latest entry in the long-running franchise and one of the most highly anticipated launches in the series. 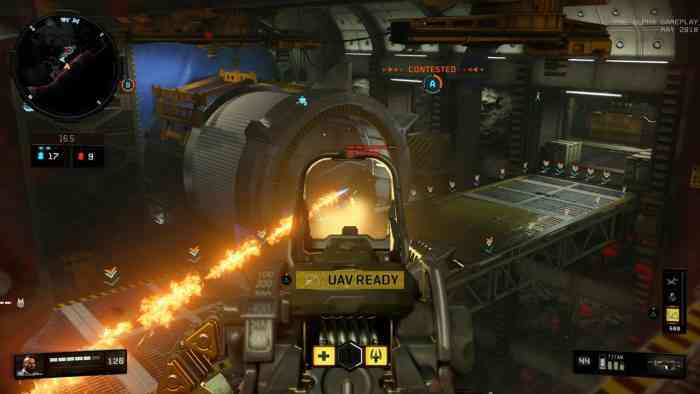 While at its core the gameplay itself has fared little change from what fans can expect – although without the familiar wall running to get around – Black Ops 4 is taking some significant risks in its upcoming launch, doing away with the single player campaign which has been a staple of the series and instead offering a new Battle Royale style mode called Blackout. This mode is set to feature the largest ever map, dotted with landmarks from previous and iconic locations in the series as well as letting players compete as series legends. Little else is known about Blackout for now, but fans of the Call of Duty franchise will feel right at home with its smooth and frenetic multiplayer. Call of Duty: Black Ops 4 is set for release on October 12 and will be available on PC, PlayStation 4, and Xbox One. For more information, check out the game’s official website.